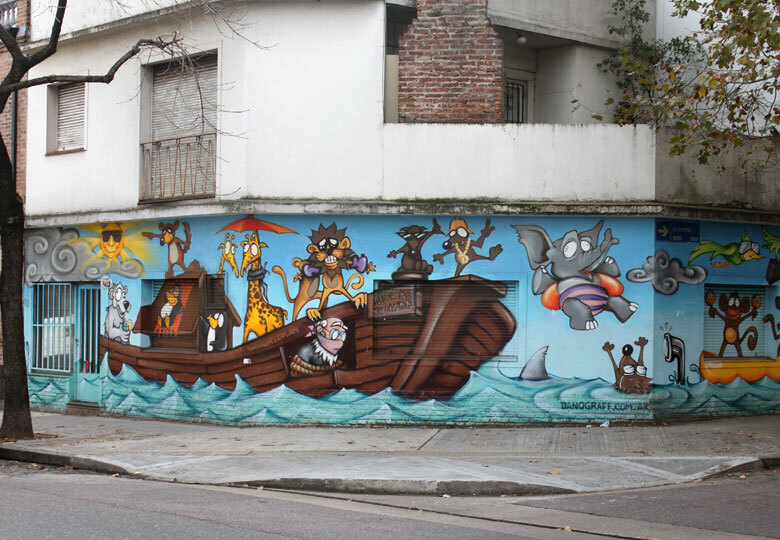 Dano was one of the early pioneers of graffiti writing in Buenos Aires. 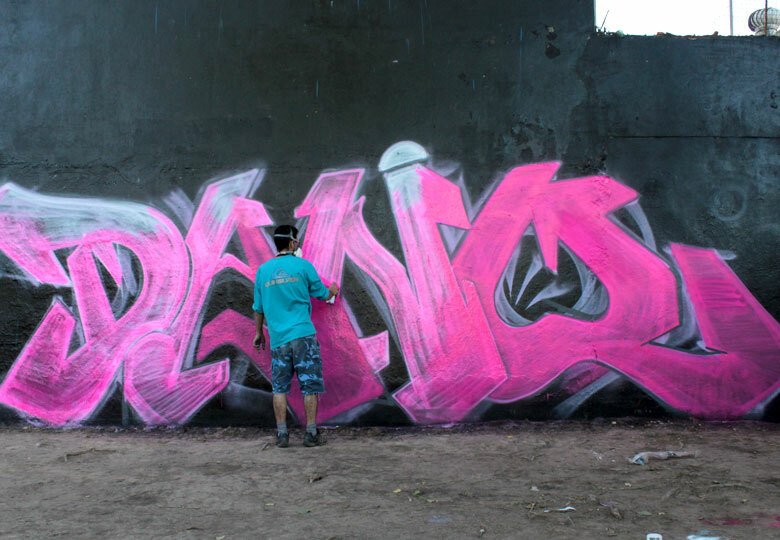 He began painting walls and private buildings in the late 90’s when graffiti was first hitting the city, establishing himself as a mainstay of the local scene. 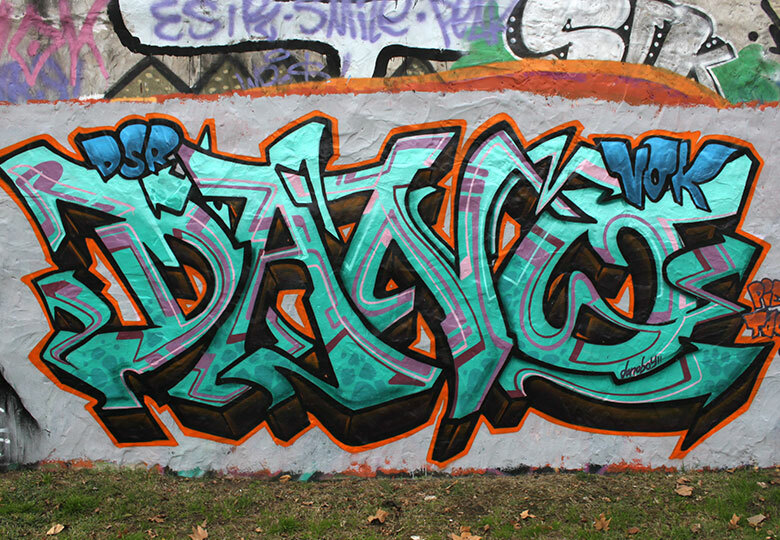 Both the New York graffiti scene in the 70’s and hip-hop culture have provided important inspiration to Dano and he maintains a significant connection with traditional graffiti throughout his body of work. Having trained in graphic design and comic illustration, his pieces, whether letter or character-based, display strong influences from these backgrounds as well.